Generally a good accounting program will be recognized by its forms of sales entry. 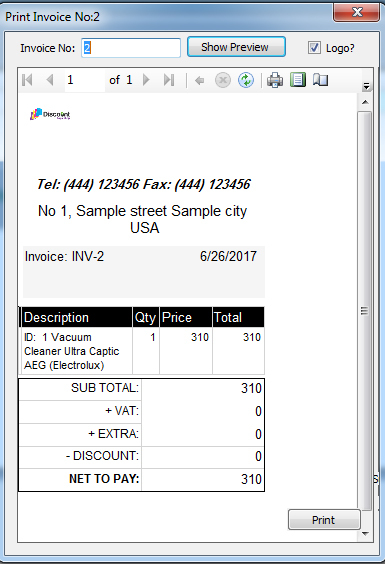 in invoice entry form of iGreen accounting, you will see selection of currency, salesperson, delivery address of customer, tax, extra and discount. double entry (standard accounting voucher) will be posted by program automatically and you don’t need to known about rules of accounting vouchers. 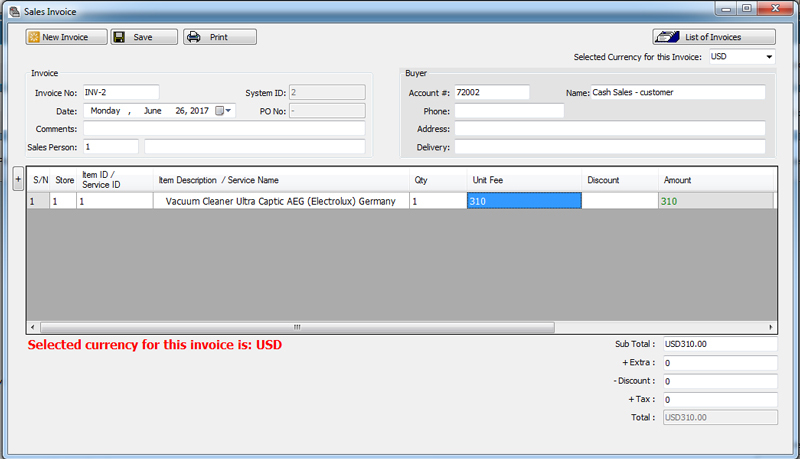 It is possible you change currency of invoice in account statement of customer later. conversion rate will be calculated based on the rates that you will adjusted in currency management form. Invoice entry and print of it are very important for any accounting software and we check it in every version of iGreen accounting.